A gorgeous collection of photographs from the creator of the original street style blog. Scott Schuman just wanted to take photographs of people that he met on the streets of New York who he felt looked great. His now-famous and much-loved blog, thesartorialist.com, is his showcase for the wonderful and varied sartorial tastes of real people across the globe. This book is a beautiful anthology of Scott?s favorite images, accompanied by his insightful commentary. It includes photographs of well-known fashion figures alongside people encountered on the street whose personal style and taste demand a closer look. After fifteen years in the fashion business, Scott Schuman felt a growing disconnect between what he saw on the runways and in magazines, and what real people were wearing. The Sartorialist was his attempt to redress the balance. Since its beginning, the blog has become hugely admired and influential in the fashion industry and beyond. Thesartorialist.com is consistently named one of the top blogs in the world. A self-taught photographer, Schuman shoots for publications including French Vogue, American GQ, Fantastic Man and Elle, and a growing list of advertising clients. Scott has also shown his work at the New York photo gallery The Danziger Projects and appeared in the GAP Style Icon campaign in the fall of 2008. He has been named the number one fashion photography trend by American Photo magazine, as well as one of Time magazine?s top 100 design influencers. 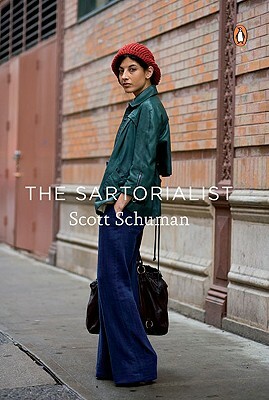 Scott Schuman started thesartorialist.com simply to share photos of people on the street who he thought looked great. The blog now receives more than fourteen million page views per month. His work resides in the permanent collections of the Victoria and Albert Museum and the Tokyo Metropolitan Museum of Photography and has been featured in GQ, Vogue Italia, Vogue Paris, andInterview. He lives in New York.